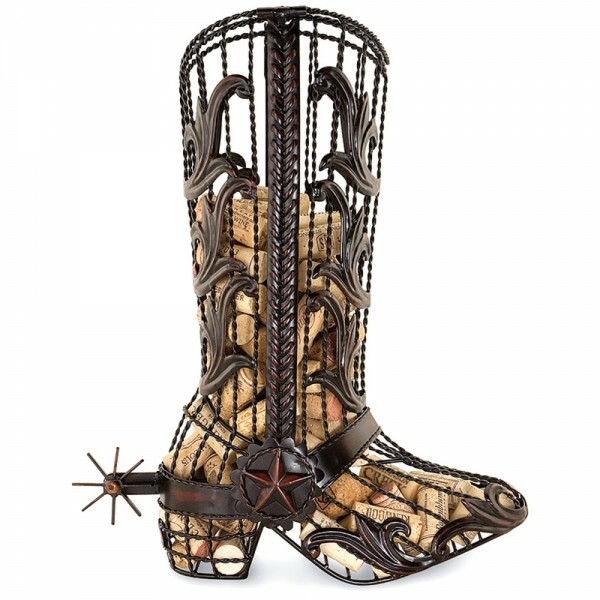 Cork Cage Cowboy Boot (P/N 91-073). What should you do with all those corks you've managed to collect? Tuck them in a drawer or box until you create a special cork craft? Why keep them out of sight? Display and store your cork collection in something uniquely stylish and fun! 14 3/4 "H x 12 1/2 "W x 5 1/4"D.